Olga's Outstanding Octopus Ointment is a soothing and refreshing hand cream of Lemongrass and Bergamot - ideal at the end of a busy gardening day. Smooth onto hands, retire with a calming drink and repeat often. 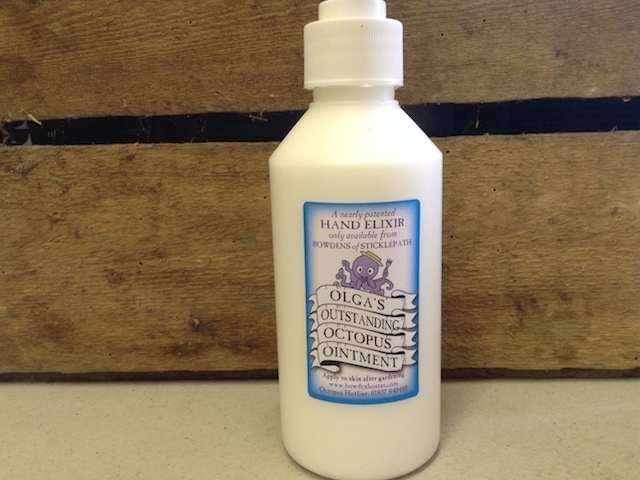 Click the button below to add the Olga's Outstanding Octopus Ointment to your wish list.